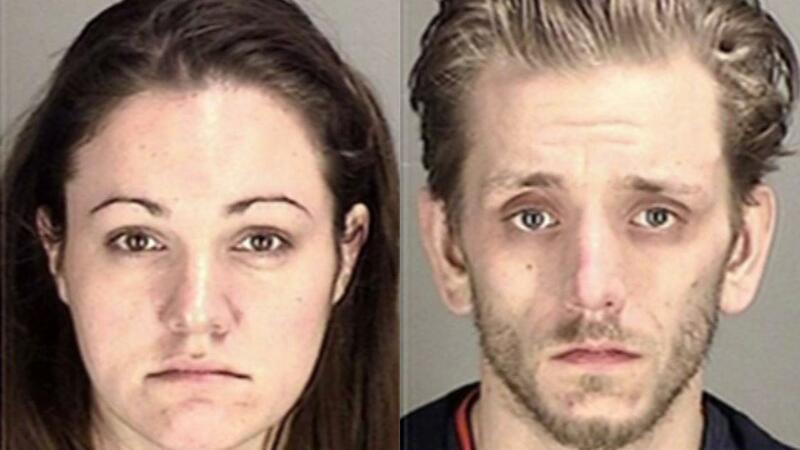 NAPA, Calif. (KGO) -- Napa County's Superior Court sentenced Sarah Lynn Krueger,27, and Ryan Scott Warner, 29, to life without parole Thursday for the torture murder and assault of Krueger's 3-year-old daughter at their Napa apartment in 2014. An autopsy determined Kayleigh died of blunt force trauma. Her body had been placed in a freezer, and then left in a suitcase on a bed in an apartment at the Royal Gardens Apartment. Napa police found the body on Feb. 1, 2014. Krueger and Warner were arrested the next day at a BART station in El Cerrito. The Napa County District Attorney's Office did not seek the death penalty against the defendants. Kayleigh's father Jason Slusher, her grandfather John Krueger, her grandmother Cindy Leuthold, and her grandmother Robin Slusher gave victim impact statements to the court. Defendant Krueger had her attorney, Jim McEntee read a statement, and defendant Warner personally made a statement. Both defendants proclaimed their innocence and took no responsibility for Kayleigh's death. The Napa Police Department was the investigative agency. The case was prosecuted by Napa County Deputy District Attorney Lance Hafenstein, Deputy District Attorney Kecia Lind and District Attorney Investigator Leslie Severe. Deputy District Attorney Hafenstein stated: "We are very gratified by the sentences given to both defendants today. This has been a long ordeal to pursue justice for the murder of Kayleigh, and that ordeal is thankfully over. Kayleigh was a bright, happy little girl, and her death affected many family members and friends. Hopefully, this verdict brings some solace and closure to those who knew and loved her."